The post Bayan Muna to sue Manila Water over water supply woes appeared first on Inquirer News. The post Lawmakers accuse DND, AFP of electioneering appeared first on Inquirer News. The post ‘Thanks, but why spare Palace, Senate pork?’ appeared first on Inquirer News. PNP chief General Oscar Albayalde on Monday denied the accusation of Bayan Muna chairman Neri Colmenares that government forces abducted two of his group’s supporters. The post PNP chief hits Colmenares for claiming gov’t forces abducted supporters appeared first on Inquirer News. The post Colmenares, Gutoc: Decline in poverty incidence ‘unrealistic’ appeared first on Inquirer News. The post Collusion to hike rates seen in Luzon power shutdowns appeared first on Inquirer News. MANILA, Philippines — Malacañang on Tuesday said the families of 14 farmers from Negros Oriental province whom police allegedly shot down in cold blood last month should bring charges against the policemen involved, giving assurance that President Ridrugi Duterte would neither allow police brutality nor tolerate police abuse. 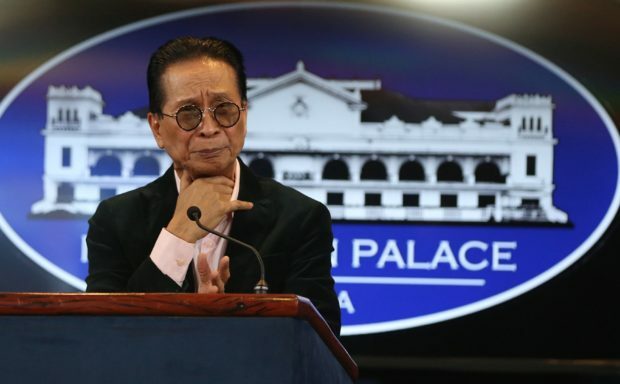 The post Sue cops, Palace tells kin of slain Negros farmers appeared first on Inquirer News. MANILA, Philippines – President Rodrigo Duterte’s plan to suspend the writ of habeas corpus and install a revolutionary government are his reactions to critics of his administration and a video linking his son to the drug trade, Bayan Muna leaders said on Friday. The post Bayan Muna hits Duterte’s threat on habeas corpus, revolutionary gov’t appeared first on Inquirer News. Bayan Muna chair Neri Colmenares is calling on groups and personalities to join protest movements against the Chinese occupation of the WPS. The post Colmenares: If gov’t doesn’t act on West PH Sea, we will appeared first on Inquirer News. The post Bayan Muna threatens to sue cops, soldiers in ‘massacre’ of 14 farmers appeared first on Inquirer News.